I have a love/hate thing going with mint. I love to use it in my cooking; I hate how it insinuates itself through my garden. That’s just what it does, too, slithering its shoots in a dastardly network of rhizomes just beneath the soil’s surface like an episode from Twilight Zone. And there’s nothing you can do about it short of digging up the entire bed. Even then it’ll reappear. At least that’s been my experience. No matter that I first brought it to the garden in pots—one apple mint plant, one peppermint and one spearmint–knowing better than to plant it directly into the garden. Silly me. Those runners found their way down through the bottoms of those pots in no time, through the raised beds, under the boards and merrily down the gravel paths. The spearmint is especially feisty. I spend too much time each summer “harvesting,” yanking out wandering shoots, making bad jokes about making a mint, about the mint condition of my garden. Sometimes I wish I had planted it in an old bathtub (with the drain plugged) in some far corner of the land the way people do—let it grow to its heart’s content out there. So I’m doing the unthinkable this year by ordering another variety and cutting back on my cutting back. I must be insane. Yesterday I thought so. Out in the cold wet bed there it was, already thumbing its nose at me by racing about the dirt, shoving the sorrel out of its way, popping up—surprise!—inside the lavender, and shooting up next to the garlic. The nerve. Yet I left most of it to zigzag about and, even worse, I’m preparing to add some Egyptian mint to the mayhem. We’ve always known the resident long-eared population was healthy—hence the equally stout numbers of coyote, fox and bobcat. But they used to stay on the lawns, the fields, the driveway. Never the gardens. That was before our dog Finn died. 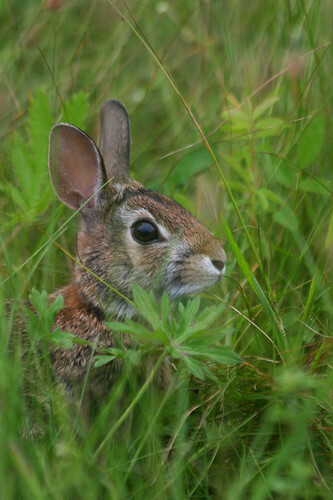 Our acres are a wildlife corridor, and we adhere to a mowing schedule that favors the field birds and their nesting needs, we make sure the hedgerows and copses stay healthy with native species, and we plant the orchard, the vegetable and flower gardens with varieties that the birds, bees and butterflies like as much as we do. Of course, when you invite some of the wildlife population close to the house, and you have no dog, you end up inviting it all. Finn did a terrific job keeping them at a distance—how terrific we didn’t know until this first winter without him. The bobcat made himself available for photographs, the turkeys lounged about on the lawn, the coyote and deer paraded through the raised beds, and a black bear played havoc with the bird feeders. That does not bode well for the gardens. Indeed, last summer we got our first hint of lines being crossed, or rather, the animals got their first hint of my vegetables. To my husband’s delight, the deer did their first taste tests of the brassicas: the brussel sprouts, the collards, the broccoli nibbled here and nibbled there—I accused him of sneaking out in the night and staking signs reading in deer lingo, “Eat Here…Please!” in the kale. A wildlife corridor is a great thing until it takes a sharp turn into my food. 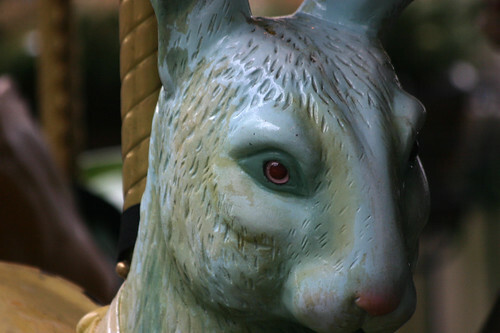 And then there were all those Peter Rabbits. They beat the deer to the chard. Almost all of it, except for one patch surrounded by the monstrous mint. That they left alone. Completely. It turns out that they hate mint and apparently cannot risk getting the fragrant oil on their fur—they can’t smell predators through it. I can practically hear the mint cackling–it saved the day, or at least whatever chard it hadn’t choked. So I’ve decided to give it a bit of slack this year, plant the foods rabbits love in the mint beds, try to keep the mint in some sort of order, and see what happens. But adding more mint? Blame that on my passion for Mediterranean-inspired cooking. Throughout southern Europe, northern Africa, the Middle East, mint sends its runners through pasta, couscous, yoghurt and lamb recipes. Indeed, it is a key member of my cooking staff. But it’s tea that has me planting the Egyptian varietal. 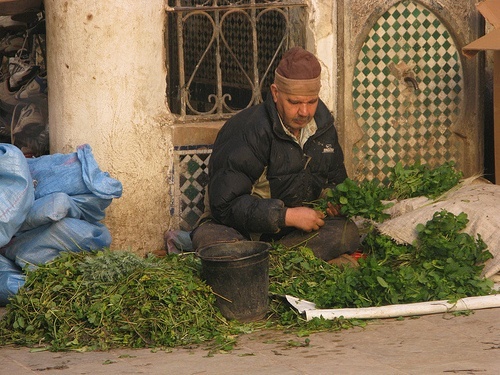 Since visiting Morocco this winter, I’ve been on a mission to recreate a perfect cup of mint tea I sipped in Fez. Wouldn’t you know that my abundant stock doesn’t quite do it. Research tells me that mint is a funny fellow, the strains varying plant to plant, which is why it’s propagated through cuttings and not seeds. Of course. A nonconformist to the tips of its tendrils. And so I have to risk a garden takeover to make my own perfect cup of tea and to keep out the riff-raff. I’ll place the new pots–with strict instructions to my husband that he may not move them—in a bank around the brassica beds and see if I get tea and broccoli. And if the mint just tries to make a run for it, I’ll banish it to bathtubs once and for all.